Purpose It is a typical “man–machine” combined operation process the air condition is drawn manually by the cartographer. Manual plotting of air commander in air defense combat command and battle is crucial. The purpose of this paper is to explore ways to improve the skills of cartographers in manual plotting of air conditions and to serve for the efficient training of cartographers and the accurate decision-making of air defense operational commanders. 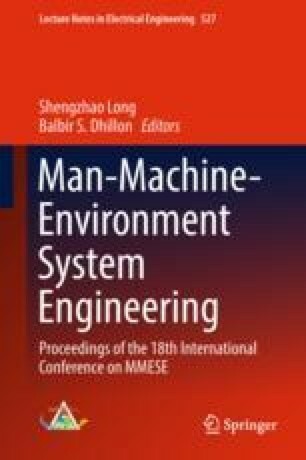 Method In this paper, combining with the theory and practice experience, the paper expounds the “man–machine” relationship of the air situation drawn by hand by the cartographer and looks up the relevant documents in combination with the characteristics of the manual drawing “man–machine”. This paper analyzes the three factors that affect the skills of the cartographers in the manual drawing of air conditions. Results This paper puts forward the countermeasures to improve the skills of cartographers from following three aspects: strengthening listening ability training, strengthening memory ability training, and strengthening observation ability training. The basic assumption of subsequent research ideas was also made. Conclusion In this paper, it is necessary to study the problem of artisanal plotting skills of cartographers, and the countermeasures proposed in this paper are of reference value to the training of cartographers and the upgrading of their skills. And then, it can serve the air defense commander’s organization and command.